New Year’s eve was noisy here, like usual. One of my dogs was frightened, so I kept holding him, and talking to him. We finally got to sleep around 1 am. Not a lot new is happening, except I got a food processor, and have been happily making nut butters! Oh my, pecan butter is the best, so far! I’ve also made walnut butter with macadamias, it’s ok, not a lot of flavor. Today I made almond butter, with one can of Blue Diamond natural almonds and one can of Blue Diamond smokehouse almonds, and the rest of the macadamias. It’s very tasty! I also added salt, which helps, and some coconut oil. It takes a lot of nuts to make butters. I’m resting my arm, shoulder, and wrist, from knitting. It’s been almost 7 days where I’ve not knitted more than 20 or 35 minutes each day…..some days I haven’t knitted at all, and that’s when I spend time reading, which I enjoy doing! 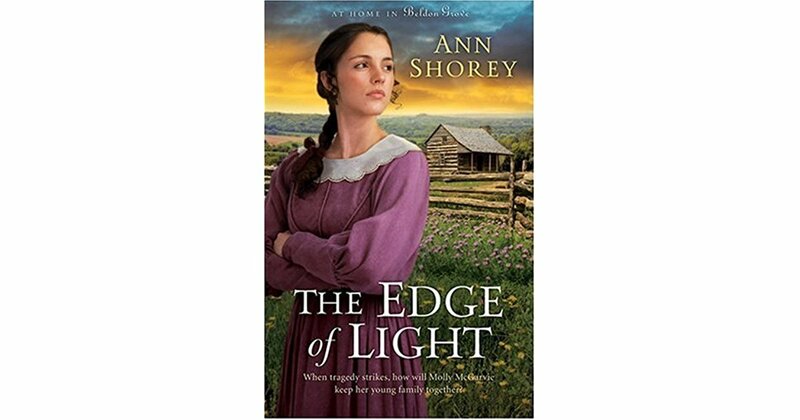 I’m reading a paperback I got at the library: The Edge of Light, by Ann Shorey. Information about the story, from amazon: It is the summer of 1838 in St. Lawrenceville, Missouri, and Molly McGarvie’s life is about to change forever. When her beloved Samuel succumbs to cholera, Molly is heartbroken but determined to take care of herself and her children. But when Samuel’s unscrupulous brother takes over the family business and leaves Molly to fend for herself, she knows she must head out on her own. It is a dangerous journey and Molly has to leave her old life behind. Somehow she must find a way to make a living, keep her family together, and fend off some over-eager suitors. Now, so far, I like this book, but one thing irritates me about the author, and that is her use of words that very few people probably know what they mean, like swingling, iron hetchel, travois , flannel cake batter, shinnying, braking, retted. So, I just sigh, and continue on, trying to figure it out within the context of the story. Or use a dictionary, but one of the words wasn’t in the dictionary, and I didn’t feel like cranking up the computer to get Google to define it. Tonight I made a pot of chili. Here’s my recipe: 1 can kidney beans, 1 can pinto beans, 1 diced green bell pepper, and 1 diced onion. 1 large can of tomato puree, 1 small can of tomato paste, 1 pound ground beef, paprika, salt, pepper, mesquite salt, and chili powder. It turned out really good! So, that’s all for today. Tune in again soon. I’ve got to read a book I got from Bethany House, to review, so that is probably next. Previous PostDecember 25th 2017Next PostA New Craft!